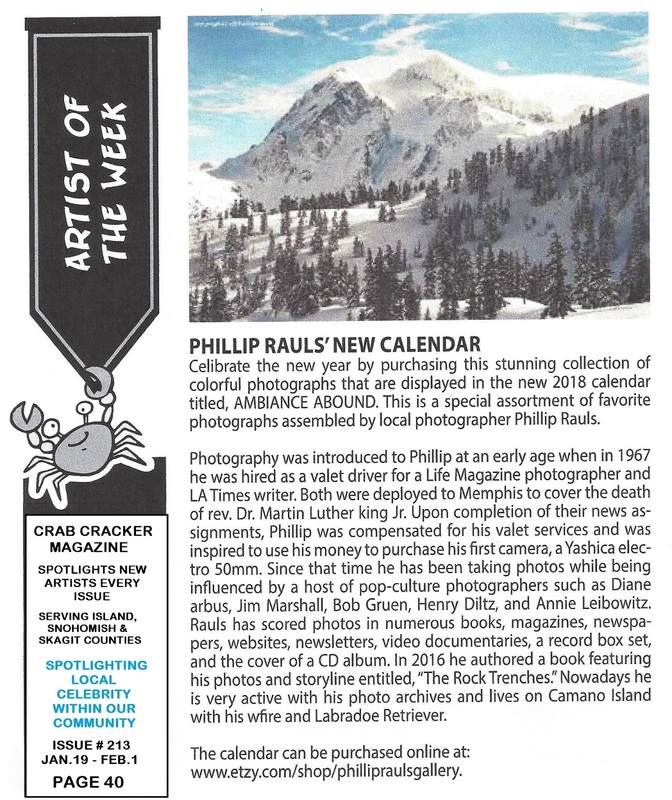 Crab Cracker Magazine awards the "Artist Of The Week" recognition to photographer Phillip Rauls for his 2018 Ambiance Abound Calendar. Celebrate the new year by purchasing this stunning collection of colorful photographs that are displayed in this new 2018 calendar. This special assortment of favorite photographs are assembled by Northwest photographer Phillip Rauls and currently available at ETSY.COM at the Phillip Rauls Gallery.